Guest post by IAIA Past President Miguel Coutinho. Most people who become addicts to something start out with casual use which turns to addiction after advancing through a number of stages. I started my bond with IAIA with a casual tone. 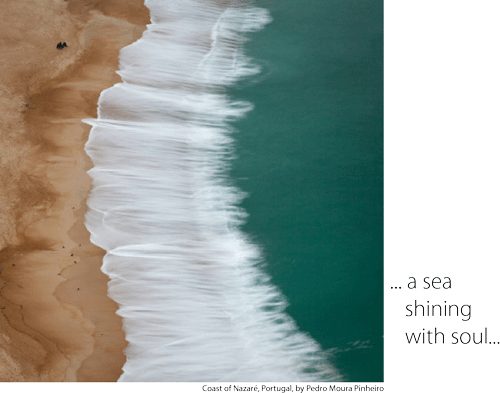 Around 2003-04 I was involved in the preparation of one of the first SEAs in Portugal. I wasn’t 100% sure if I had approached the problem the best way, so I decided to share my ideas, perspectives and concerns with people who dealt with similar problems. I submitted a paper to IAIA05 and took a flight to Boston. It seemed as only one more conference of the many I had already participated in. But it wasn’t… I found a very special culture there, a niche where people from every corner of the globe with diverse personal stories and professional experiences would meet to share visions, participate in discussions and learn with each other. It was much more than the typical bunch of scientists talking to each other. After 2–3 conferences I was completely hooked and I haven’t missed a conference since then. Experimental use of IAIA had become regular use and I started to incorporate IAIA into my usual yearly routines. At this phase, I still had control over it. I could probably stop if I wanted to, but I was extremely satisfied with its effects. IAIA didn’t interfere with my life in any way; it just made me feel better and professionally more self-confident. In 2011 I accepted the challenge of chairing next year’s conference in Porto; that’s when I started to feel the addiction stage and dependence took on a compulsive quality. I needed it to function, and I would do just about anything to get my satisfaction. By this point, IAIA was controlling me—not the other way around. In the beginning of 2013 I ran for President of the Board and won; since then my inbox is full and high every morning! Three years went by very, very fast. Addiction counselors say that “you don’t have to wait until you become addicted to put a stop to this process.” But I don’t want to stop… I’m sure that relapse will come and I want even more! I want us to discuss what should be the role of impact assessment professionals in a world where business as usual is not an option anymore. In this world we need unusual impact assessment, to tackle what is really critical to the decision making processes we participate in. I would also want us to hold off from our traditional assessor’s restricted point of view and reinterpret our own role as impact managers. How can we contribute our knowledge to guarantee that negative and positive impacts are identified and managed from project design to closure? Shall we ever transform ourselves from IAIA to IAIM–International Association for Impact Management? 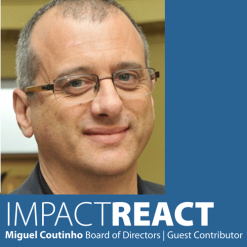 Dr. Miguel Coutinho is the Executive Director of IDAD (Institute of Environment and Development) in Aveiro, Portugal, and currently serves as Past President on the IAIA Board of Directors. Do you have thoughts after reading this post? IAIA members, login to join the discussion at IAIAConnect in the Members group.